The Bhutan InfoComm and Media Authority (BICMA) declared that Hema Hema: Sing Me a Song While I Wait , a feature film by Tibetan Buddhist lama and writer Dzongsar Jamyang Khyentse Rinpoche , cannot be screened in the country, following a review by the National Films Review Board and the Department of Culture of the Ministry of Home and Cultural Affairs. The film takes place in Bhutan, and is about a group of people who spend several days in the woods together in anonymity, thanks to the masks they wear. It was filmed in Bhutan  with more than 400 actors, mostly village people from the eastern part of the country. The official religion of Bhutan is Buddhism, and it influences many aspects of the small country's culture. Masks feature  in some customs. At the moment, Bhutan finds itself having to work to preserve  its traditional culture and heritage amidst influence of foreign cultures as the country embraces rapid development. 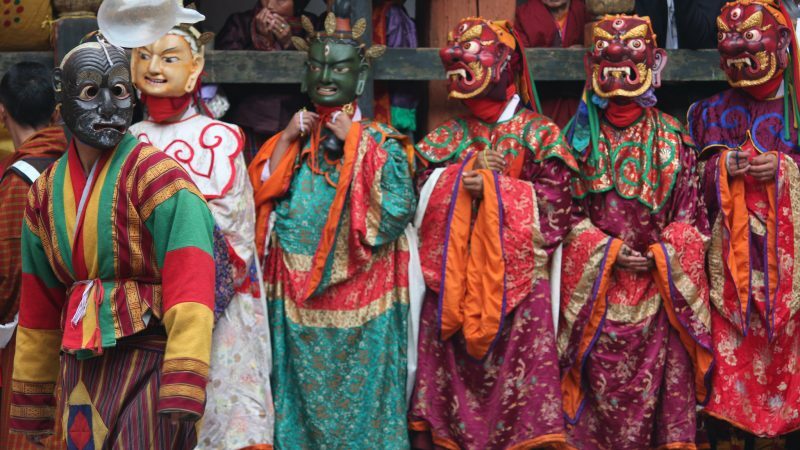 Many Bhutanese, however, are unclear what exactly was objectionable about the masks. The film has already been screened in a number of international film festivals like the Locarno Film Festival , BFI London Film Festival , Taipei Golden Horse Film Festival  and the Singapore International Film Festival,  and received a special mention by an international jury for placing second at the Toronto International Film Festival  in September last year. It was scheduled to be premiered  in Bhutan in December 2016.